Our modern culture has made the physical process of burial little more than an afterthought, leaving us to numbly choose from a small assortment of wooden boxes in a showroom or catalog in the aftermath of a loved one’s death. 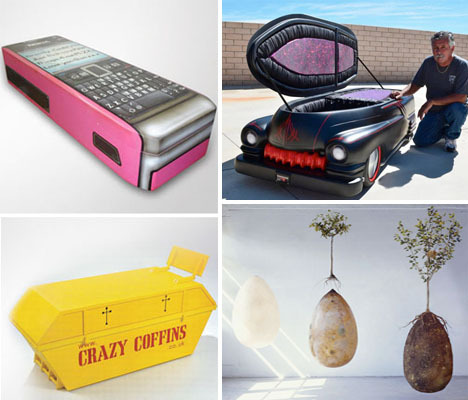 But some casket designers literally think outside the box with colorful, celebratory or just plain bizarre creations ranging from coffins shaped like beer bottles and cars to those equipped with warning signals in case you’re buried alive. 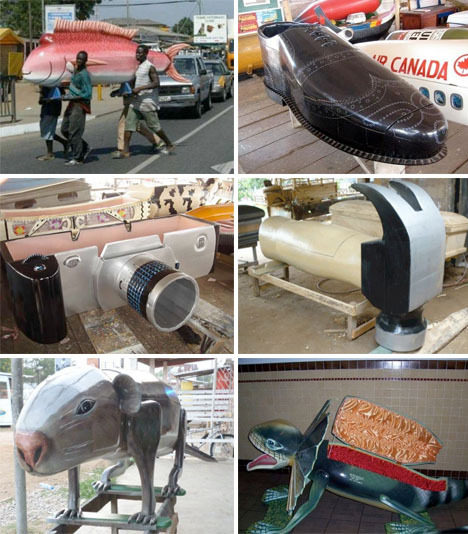 In Ghana, the Ga tradition of carpentry includes a fun and colorful array of fantasy coffins unlike anything you’ll see anywhere else in the world. Drawing from local culture and the personalities of those for whom the individual coffins are commissioned, the designs flout worldwide customs of somber funerals. The first one, a pink fish, was made for a fisherman from Accra in the 1950s, and from there the trend took off. Some might represent careers, others vices – you could be buried in a bottle of beer, for example. 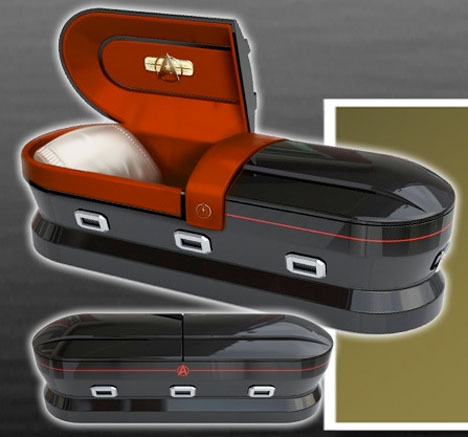 If you’re enough of a Star Trek fan to learn how to speak Klingon, perhaps you’re enough of a fan to be buried in this Star Trek-themed casket inspired by the ‘Photon Torpedo’ design seen in Star Trek II: The Wrath of Khan. 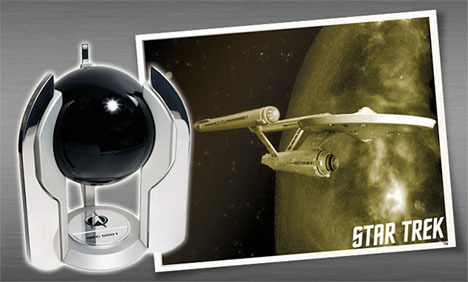 Or, if you’re partial to cremation, there’s always the Star Trek urn. 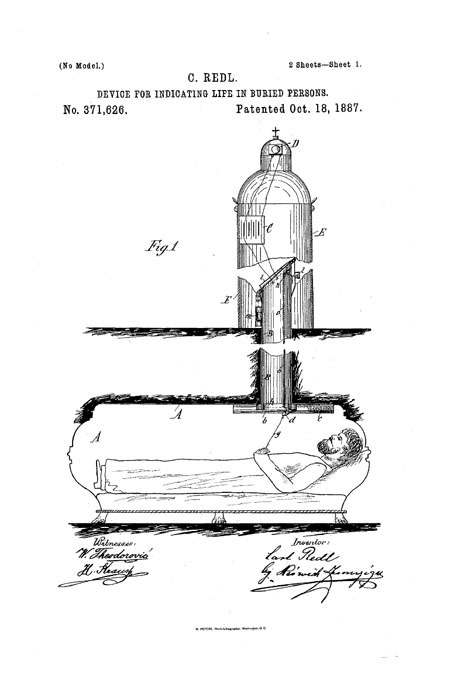 In the centuries before modern medicine made a pronunciation of death much more reliable, people had justifiable fears of being buried alive (which got even worse after Edgar Allan Poe’s ‘The Premature Burial.’) Hence the many designs for ‘safety coffins,’ which literally included bells and whistles so if you happened to wake up in the midst of your own burial, you had a chance of getting out alive. Some have handles or strings that can be pulled to activate a signal, while others were mouth-operated. One terrifying spring-loaded ejector coffin will launch you out of the ground (to the heart-stopping terror of anyone who happens to be nearby.) 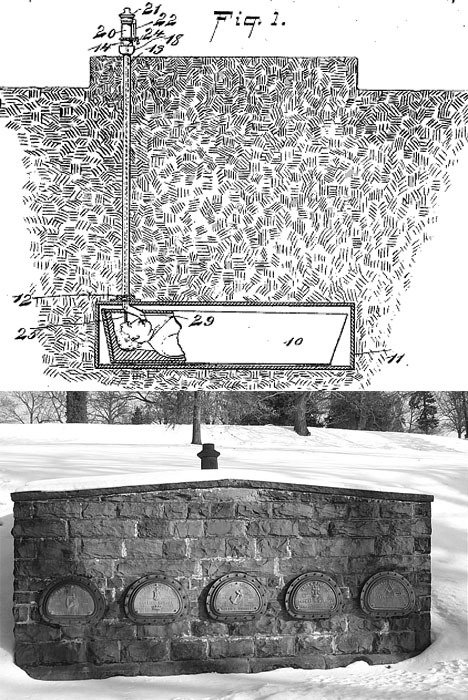 Some cemeteries, like the Williamsport Wildwood, even have escape hatches on the vaults. Take a stylish ride to your eternal resting place in a ‘Cruisin Casket,’ a car-shaped coffin with functioning wheels that can actually roll down the street. 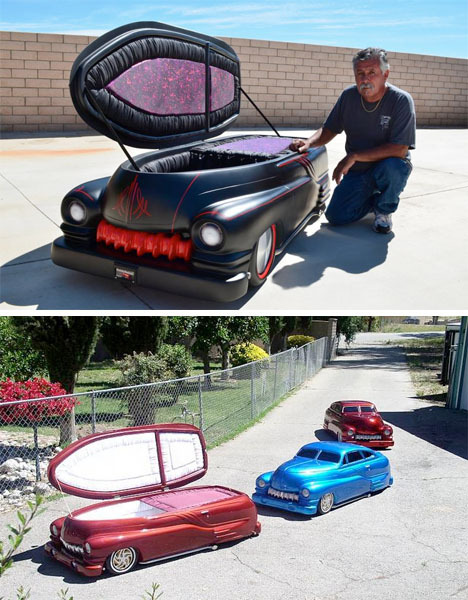 This company will make a custom casket shaped like any model car. It seems like a shame to bury something like this, but if you want to enjoy it for a while before you croak, you can get a cooler insert and use it to keep your drinks on ice.